Wei Liang is an award-winning translator, versatile interpreter, experienced educator and digital learning designer. Wei Liang was a Chinese Language educator for Ministry of Education. During his teaching years, he actively explored the use of multimedia software and unique curriculum design to enhance his quality of teaching. This eventually won him a Merit Award in the National Chinese Language Multimedia Resource Competition 2010. For the last 4 years, Wei Liang has been actively involved in instructional design work, facilitating language courses as well as subtitling programmes, broadcasted in Singapore. He is very passionate about bridging communications as well as developing people to their fullest potentials in all his facilitation and teaching. 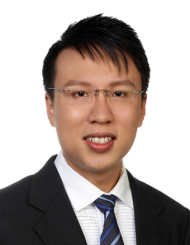 Wei Liang is also a certified TetraMap® Facilitator and clinched the Lianhe Zaobao Silver Award for his outstanding academic performance at the Singapore University of Social Sciences. I believe the elemental preference will help individuals to discover their communication modes and thus enhance team collaboration and synergy in organizations. The integration of TetraMap into languages will bring about clarity and diversity in communication.